There are a lot of sites out there designed for spelling practice. I thought it would be helpful to create a “The Best…” list to narrow them down a bit. Catch The Spelling is a series of games specifically geared towards English Language Learners. The Alpha-Bot game. It’s a nice game where you first listen to the word spoken and then have to find the correct letters to spell it. I probably should place it a little higher on the list, but I learned about this game after I completed this post, and was just too lazy to change the rankings :). Spelling quizzes from The Interlink Language Center. They’re simple exercises, but there are a lot of them. Kidspell has a ton of spelling games, and you can also easily create ones using your own spelling lists. However, they’re not offered in context and there’s no audio pronunciation. Word Sort is from Houghton Mifflin. In addition to providing audio, it has the added feature of challenging students to look for word patterns. However, the words are not used in sentences. The Spelling Bee from Annenberg Media. Not only does it let you pick your level of difficulty, provide audio support, and give the words in context, but the context is not just in a sentence — it tells you a story. Spelling City has all the features that one can ask for, and is plenty of fun. You can make your own word list, or create your own. Spellzone is a new interactive site to learn and practice…spelling. It has practice activities, games, and I especially like that the words are grouped based on spelling patterns — plus, they have audio, too! The only negative, and it’s a big one, is that the words are not used in sentences (another new negative – they’ve begun charging). 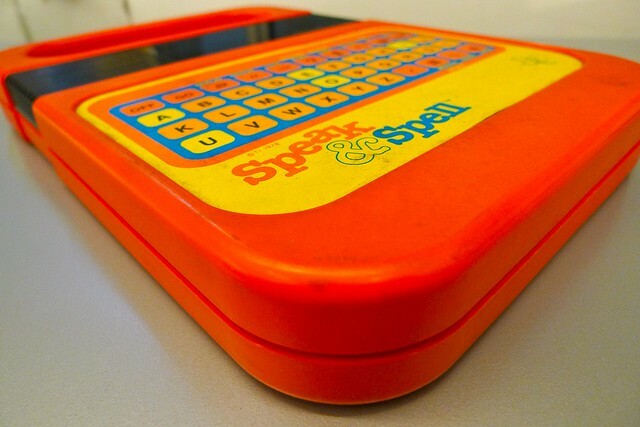 The British Council has just unveiled a new feature on their site called Speak And Spell. It has lots of interactives. Though I wish they had a different name (I’m not fond of focusing attention to IQ tests and scores), Big IQ Kids does look like a good free site for students to practice spelling. It provides the word in the context of a sentence, provides synonyms, and even the “rules.” Plus, it provides audio support for all written text. Spell is from The British Council. It has interactives for ELLs about…spelling. Spell Up is a cool game that you can play on the Chrome browser. You can learn more about it at Ozge Karaoglu’s Blog. I use http://www.tutpup.com. Students must spell words that are spoken to them. The activity is a multi-player game. There are 5 levels of difficulty. Teachers can create class accounts, so they can monitor the progress and statistics of their students. This site does not help with teaching spelling, but it does help with teaching sentence structure and sentence diagramming. It focuses on teaching grammar through sentence diagrams. Many ESL/EFL students and teachers use it. Great post! I am a college sophomore with a dual major in Physics and Mathematics @ University of California, Santa Barbara. By the way, i came across these excellent spelling flashcards. Its also a great initiative by the FunnelBrain team. Amazing!!! Thanks Larry. There are some great sites here. I would only like to add the BBC Skillswise site (http://www.bbc.co.uk/skillswise/words/spelling/waystolearn/lookcover/game.shtml). It’s a good fun site that students of all ages love. One strength is the content based wordlists. These help to connect the learning of spelling to the learning of vocabulary – something I am very keen on. Too often students are put off spelling as it appears to have little or no connection to language learning. This helps to redress that balance. Another reason to highlight this one is that it is a visual site that teaches spelling by looking at words, which is the way after all that spelling works. In your opinion, is it better to fix millions of logical children who cannot read an illogical language or fix an illogical language so that logical children can read! Think I am nuts! Roosevelt, G. B. Shaw, Mark Twain, Carnegie, Websters, B. Franklin, and Dewey all agree with me! Were they nuts? Don’t worry! We won’t force you to learn a new language, but your kids and/or grand-children will thank you if you lobby our elected politicians to start to phase in a regularized spelling system in schools in 2020. SpellingCity is my favorite! My students pay the games using their weekly words on our interactive whiteboard during literacy centers. I love that I can give my tests online. My older high school students seem to like these sites. I came across your web site and have enjoyed reading the articles and content. The focus of your site is along the lines of our unique spelling word game app; Triwordz. I believe our free app may be of interest to you and your readers. I hope you find it fun, and worthy enough to consider mentioning on your site or sharing with your subscribers. You can download it via Google Play or the Apple app store. More information can be found at http://www.triwordz.com. Are there any ‘word of the day’ type emails that get sent directly to your inbox each day? I assume they are, but don’t know of any. I’d recommend you check the various dictionary websites. Everyone know that teaching is one of the most difficult and challenging job in life Visit us we give you advanced practice tests and quizzes for spelling, dictation and listening skills for kids and adults. We will look at different spelling patterns and sounds periodically at school.We will also be having semi-regular spelling quizzes.Visit us for more information.